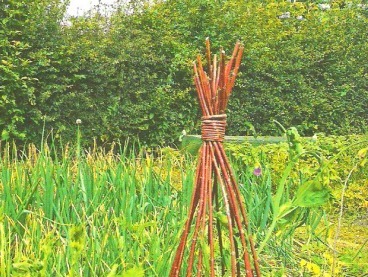 Here’s how to plan a garden accompanied with some excellent ideas for preparing a vegetable garden… Now, usually most of us would prefer a larger garden; however, there are a good bit of things that can be done with a smaller one. Within a small garden, you can produce lots of fruits and vegetables using the same amount of time and effort spent just cutting grass in a bigger plot. Any money spent will be much more effective in a small area. You can purchase slow-growing evergreen shrubs or set up some features that require little maintenance such as paved areas. On the other hand, a bigger investment is needed for a larger garden. When you plan a garden a big one in particular, the advantage is that you can have extra privacy in it. That will be prefect especially if you have room for an informal hedge and windbreak. Another benefit is the isolation that comes with a well-hedged garden. You see when you have that extra privacy; spray drift, pests and disease spores from other gardens will less likely be able to affect your plants. The extra space catered for plants and habitats indicates that more beneficial wildlife can be promoted while helping with pest control. A big garden can also encourage lots of pruning, grass clippings and leaves that are good for compost to be used in vegetable beds and other places in the garden. When there is more land available, the vegetable plot can be less intensively cropped. Longer rotations along with green manure leys will provide better disease-resistance crops. You’ll also have extra room for livestock which can convert your waste to eggs or meat in order to supply a great source of top-value fertilizer. However don’t worry, even if you have the smallest garden you can have 1 or 2 chickens if you like. Vegetable gardens in dense urban areas often respond very well to greater shelter and warmth compare to those in more open country. Tiles, bricks and pavements store heat as buildings decreases low-level wind. There is also more heat produced and often higher levels of carbon dioxide. The growing season starts several weeks earlier due to the level of warmth. The last frost of spring arrives much later in the valleys than in the nearby city. 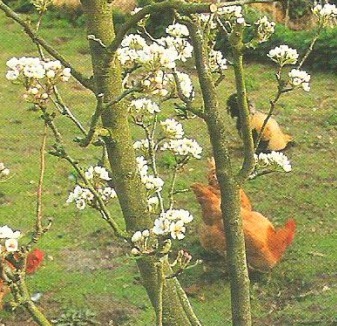 Hens can be worth considering when you plan a garden, not only for the eggs but also for the fertility they provide to the soil. When you plan a garden, size does not so much restrict the type of garden as the number of internal sections do. It’s impossible to add a fruit cage, a vegetable plot, a rose border along with a lawn and a pond into a 3 by 3m (10 by 10ft) plot. However, the good news is that you can create a gorgeous and productive combination from some of these features. It’s best to focus on 1 or 2 of the options instead of trying to force in as many as you like. Even the smallest plot will have room for herbs in pots or containers or there can even be a bed for them. If there is more space available, you can add a salad bed as that can give you some really great returns. Some nest boxes, food for birds along with some hedgehogs can be included in the smallest plots. A patio can be very convenient and more valuable in all weather conditions than a small portion of grass. Scented plants along with a small pond can be used to establish a little relaxing area. You can even have some fruits grown trained on walls or in big pots and containers. If you have some extra room available you can add a small vegetable patch or a section for some productive ornamental plants. You can always make room for a compost bin and bees. 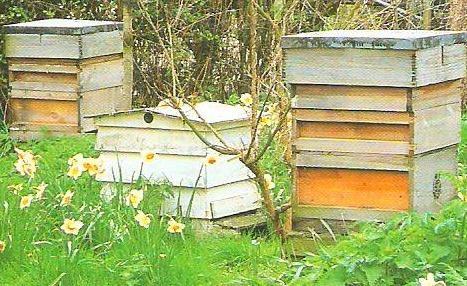 Beekeeping is an ideal choice for town gardeners. It’s nice to incorporate it in your plan a garden mission. Bees create life and interest in your garden plus they are productive where they thrive on the longer, milder seasons and a good range of urban plants. The more attention they receive, the more productive they’ll be. Beekeeping is perfect if you have a small garden along with lots of extra time on your hands. It’s an optional feature to add to your garden once you’re able to regularly attend to them. Most people usually plan a garden that’s divided into many areas. Usually the design will comprise of a formal front garden and enough space to produce many vegetables if planned properly. This is probably the most favorable size for most vegetable gardeners who have limited time. The entire area can have an attractive appearance and be productive at the same time without any extra help. The bigger garden will require some thoughtful planning and good schedules because too many tasks can really take up a lot of your time. It’s possible to keep everything under control once the work is well planned out so that it spreads over to just a few hours a week. This is much better than delaying your work where the garden as a result will become difficult to manage. There should definitely be enough space for a greenhouse, vegetable plot and a fruit cage. These are best placed a good distance from the house. The ornamental areas with lawns, patio, a herb garden and a pool should be located near to the house as possible for convenience. When making decisions on other features, it’s best to focus on a few rather than try to squeeze them all. That method will allow each of the features to have enough space where they’ll definitely be worth the while. Vines or an asparagus bed are highly favorable and are excellent to have in a garden but it’s not wise to have both of them. That basically covers some ideas for when you plan a garden. You can incorporate some of them based on how much space you have available and the type of garden you’ll like to grow. Spend time constructing your plan and garden schedule to make planting a vegetable garden easier and interesting as well. When you have the passion it will be more fun than just work, trust me.